PSE graded stamps may be all the rage in the stamp world but my true philatelic love is the cover. I recently acquired the cover below addressed to Eddie Cantor dated April 9, 1937. Not familiar with the name Eddie Cantor? Don't worry, he's not well known as his heyday was back in the 1920s and 30s as a singer/comedian/radio host. The Wikipedia article on him provides excellent background information. I call this cover a piece of Americana as it is addressed to his fictional title as Mayor of Texaco Town. Cantor had a popular radio program called Texaco Town. Apparently someone later added the street address on the front. I did find a YouTube clip from the Texaco Town program featuring Eddie Cantor with British film star Leslie Howard. It is still funny (at least to me). The sender of this cover spent quite a bit of money on it. 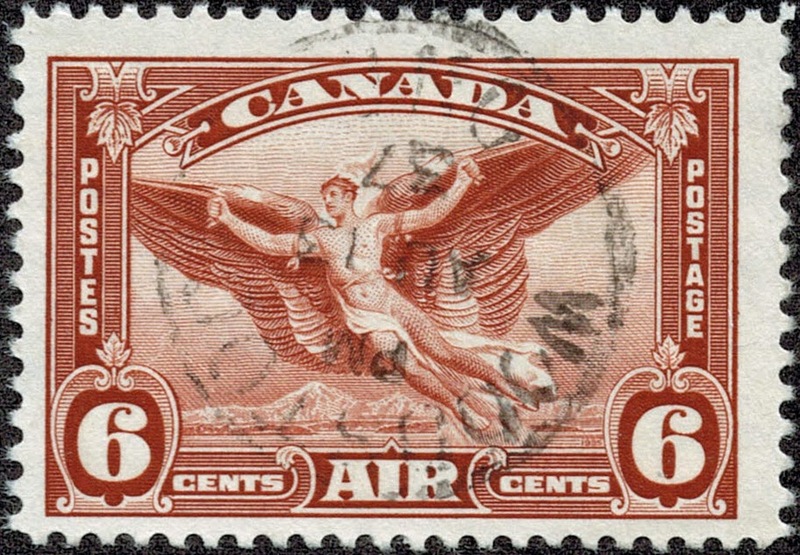 The nineteen cents in stamps includes six cents for airmail and ten cents for special delivery. The date stamps provide a history of the cover's travel. It began in Quakertown, PA at 7 am on April 9th, next stop was Reading Terminal in Philadelphia at 9 am, Newark, NJ at noon and then on to Chicago for delivery at 8:05 pm on the same day. Ok, there wasn't much frivolity at Filatelic Fiesta in San Jose but I did have a lot of fun accompanying club president Ken. It was a great way to spend a Saturday morning and I managed to pick up a few fun items for a nominal price. The dealer selection was quite good for a local show so there was plenty of choice. Ever pass up an item and then have second thoughts that you should have bought it? Well I did at a show a few months ago and regretted not purchasing a certain prexie cover. Fortunately the same dealer appeared at this show and I bought it. The array of high denomination multi-colored prexies on this cover make a stunning appearance. 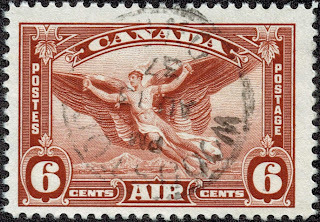 Lately I have been attracted to early twentieth century Canadian stamps. Several designs are downright gorgeous. 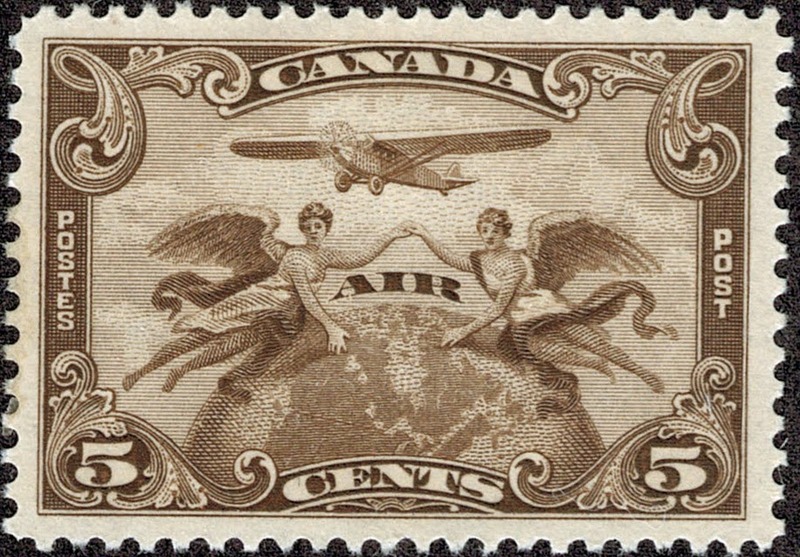 My favorites, which I picked up at the show, are C1 and C5 airmail stamps. 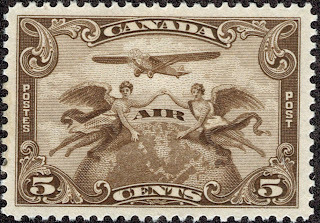 The C1 was the first Canadian airmail stamp issued in 1928. Another favorite airmail is the C5 below. One word of advice if you ever go to this show at the fairgrounds: stay away from the snack bar. Four dollars for a Diet Pepsi was outrageous.